Hello and welcome to our first Monday’s playlist! Music has always been a huge part of our lives … It is actually one of the things that made the 3 of us gals come closer together and we have made some good memories at concerts! Plus this is great way to beat the Monday Blues, just turn on these tunes and take yourself away! This Monday we are sharing some of Gabi’s favorite tunes to listen to. We hope you enjoy this post and we hope you take the time to check out these songs! I have to start this off by saying that I am a huge fan of female singers, not that I don’t enjoy male singers.. I just love to support and promote other females so when I find a great song sung by a female artist I tend to really let everyone know about it . 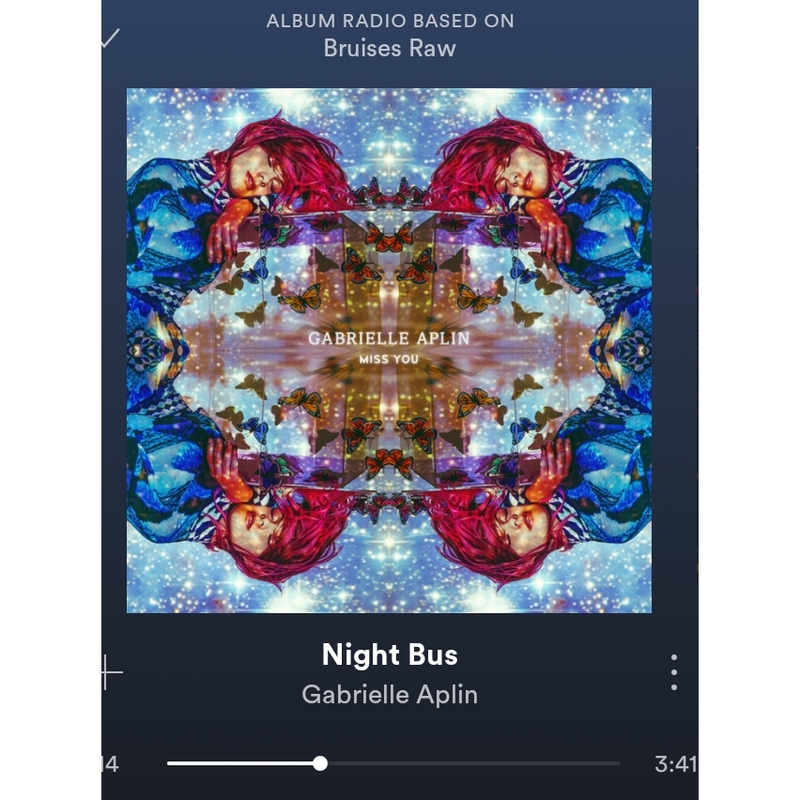 The first song I picked to share from my playlist is “Night Bus” by Gabrielle Aplin. I have been a huge fan of Gabrielle Aplin for a few years now and it’s not just because we have the same first name haha. There is something about Gabrielle’s voice that draws me in and makes me what to listen to what she is singing about. What I really love about this song “Night Bus” is that is a bitter sweet song and my life has been full of bitter sweet moments so I am a sucker for this song. It’s a song about a woman on her way back to her partner via bus and on her journey back to her partner she realises that she doesn’t want to be in the relationship so she ends the relationship over the phone while she is on the bus. It is one of my favorite songs at the moment. 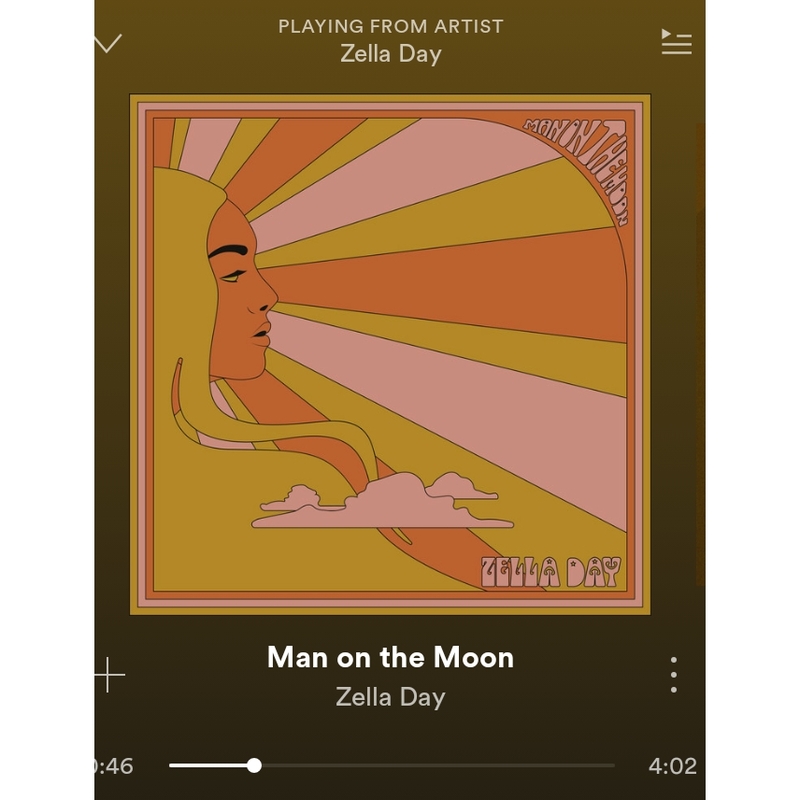 The second song on my playlist is “Man on the Moon” by Zella Day. The thing I love about this song is that the instant it begins to play you instantly are transported to the perfect sunny summer day. To me this song is about a deep love that you dream about or a love that you long for so badly. This is the kind of love that is intoxicating and sometimes can take you to your own private love bubble. I love the romance to this song and think it’s the perfect song to play on a Sunday. 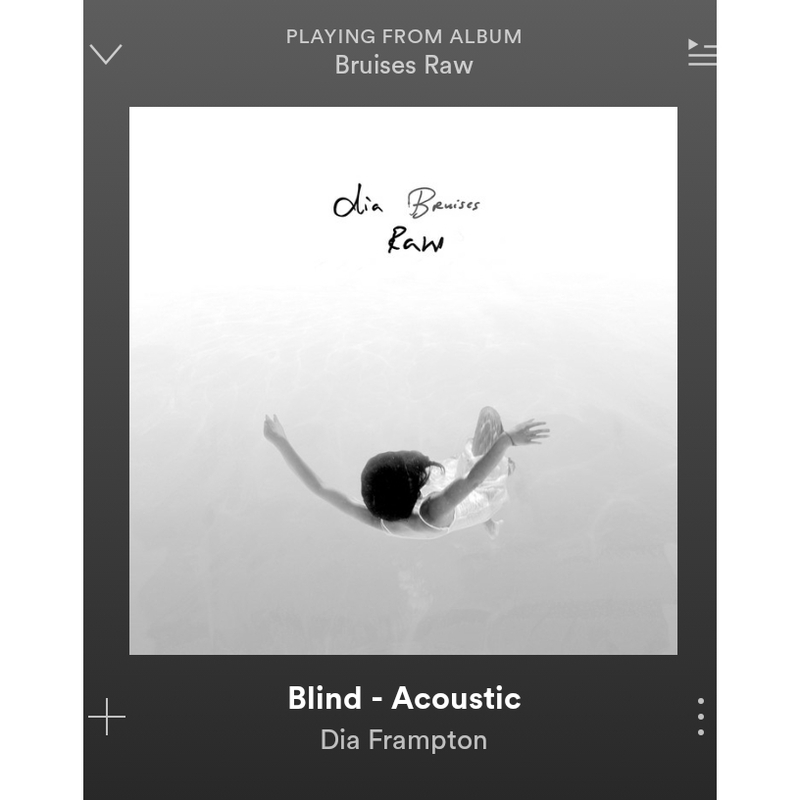 The third song on my playlist is “Blind” by Dia Frampton and I am crazy about it! Some of us have had those friends that are in a relationship that just isn’t a good relationship to be in. But no matter what you say that friend stays in the relationship despite knowing that it isn’t a good relationship to be in and they constantly lean on you when times get bad in the relationship. This song is about being the friend that is always there,this song sounds like a diary entry to me and I love how personal it gets. I have enjoyed sharing some of the songs off my playlist I hope you all enjoy these tunes as much as I do and we can’t wait to share more of our favorite songs with you! Previous Post Where the hell have you been? Next Post Just have faith.